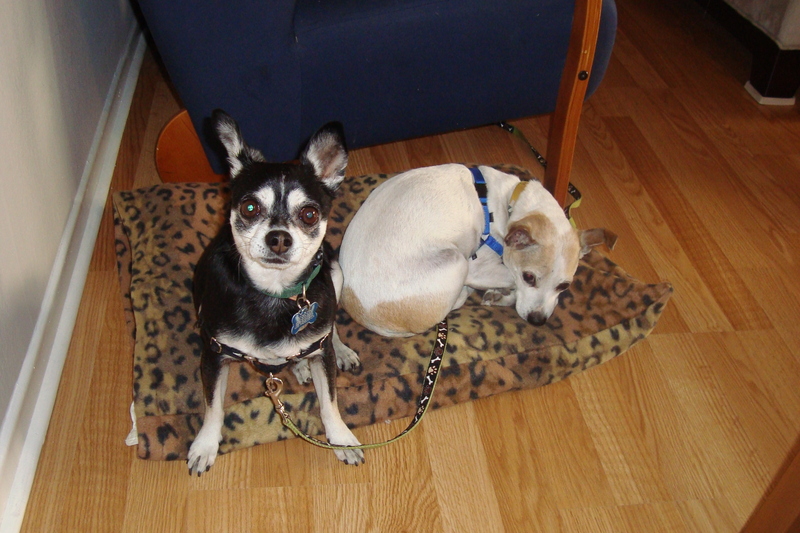 Lando and Rascal are our two senior chihuahua mixes. 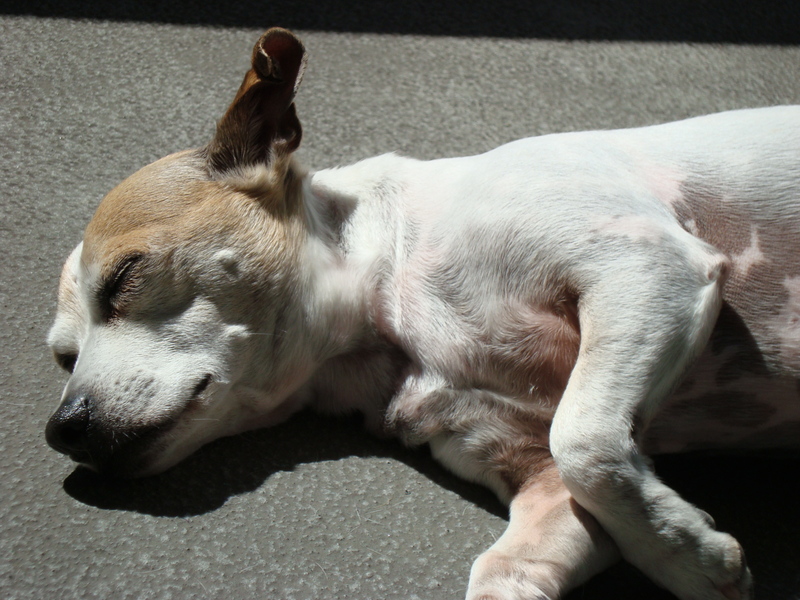 We adopted Lando in 2008 from the Peninsula Humane Society in San Mateo, CA, when he was five years old. We got him 10 days after moving in together, so he is a very integral part of our family! 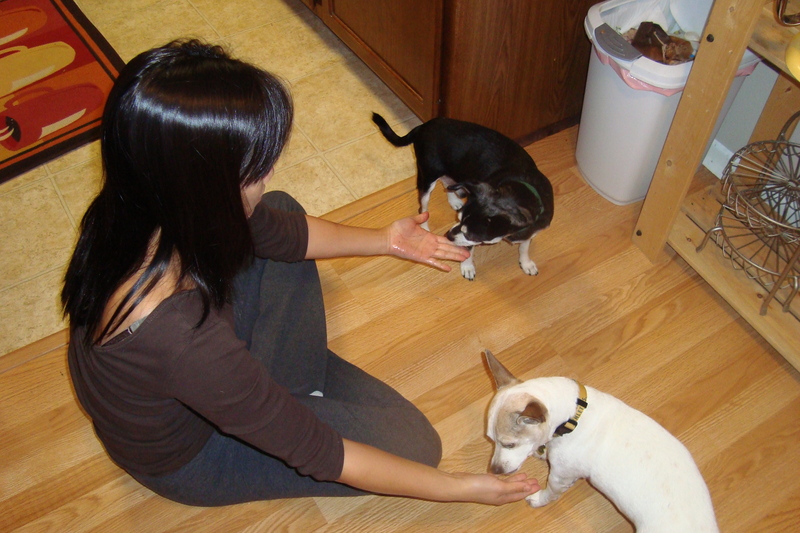 Paco was actually out of town the day I brought Lando home, and Lando and I picked Paco up from the airport together. 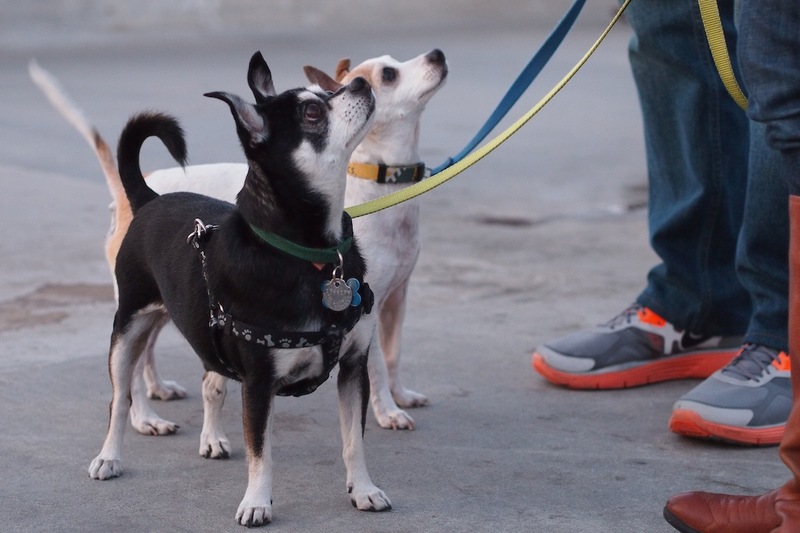 We joke that Lando thinks that he and I adopted Paco from SFO. Three years later, while taking Lando to the vet, we saw Rascal’s picture and story on the wall. At the time, his hip had been dislocated and turned out for an unknown period of time, so we thought he would only have the use of three legs. (Obviously not a problem for us!) When we called his foster mom, it turned out that he was scheduled for surgery the next day. 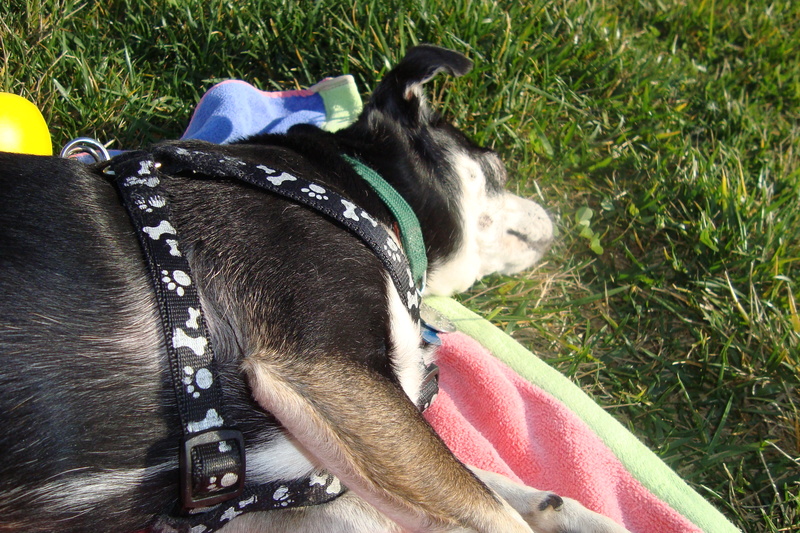 A month later, in September 2011, we adopted eight-year-old Rascal. That leg is still a little bit weak, but he gets around just fine! 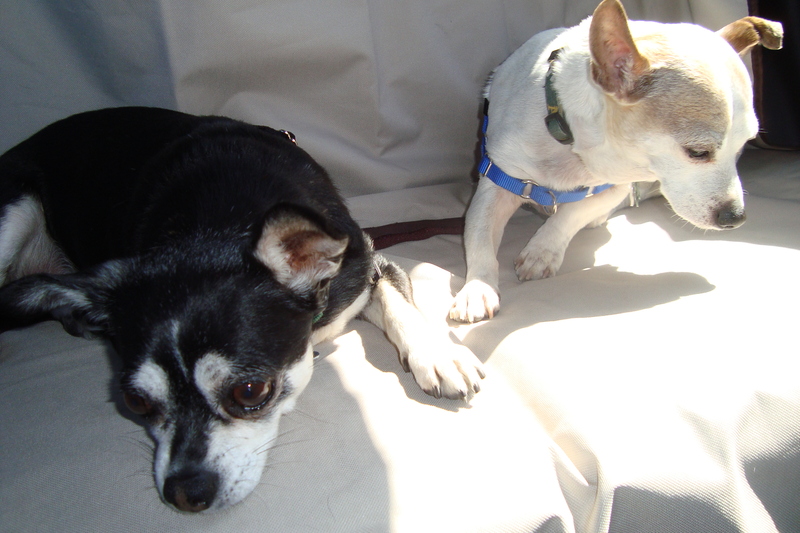 Lando is adventurous and friendly, while Rascal is cuddly and sensitive. However, they share a lot in common. They love to snooze in the sun. The like to ride in the car. 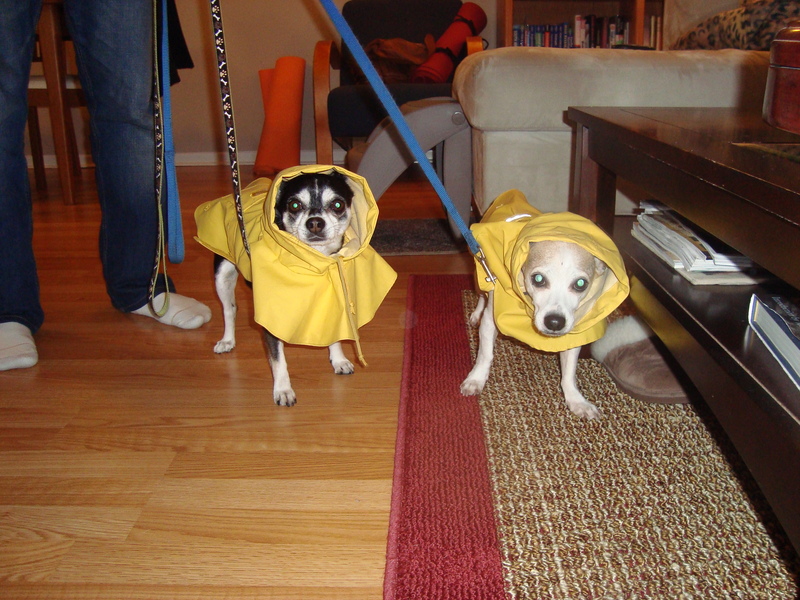 They hate the rain, even when appropriately dressed. They bring us joy every day.